I recently toured a new state-of the-art medical building. The family/visitor side could have been a luxurious hotel. Original paintings by local artists hung on the walls of lounges with soft sofas and recliners illuminated by diffuse lightening. The operating rooms and intensive care units on the opposite side of the building, out of sight and hearing of worried family and visitors, were an array of metal, glass, chrome and movable high tech columns descending from the ceiling for multipurpose use. It seemed to me I wouldn’t know how to turn on the lights much less care for patients in such an ultramodern environment. I was especially taken with the medical intensive care unit (MICU), which was a series of private rooms with bathrooms. Under a large window in each room a sofa/desk/recliner combo encouraged family to remain with their loved one during the hospitalization. I had worked in the newly opened MICU at the University of Chicago in the early ‘70s. It was converted from two (or was it three?) patient rooms into one big room with beds/gurneys separated by curtains. There were no monitors on the walls, no TV’s, no patient bathroom and no privacy. If there were windows in the unit, I don’t remember since I worked nights. And I didn’t work there long. I moved out of the city a few months after I started. What I do remember was the attempted suicides that seemed to outnumber other patient admissions. Most of them spent an overnight in the unit, recovering sufficiently to be moved out the next day to the medical floor. I spent one quiet night hanging over the side rail listening to a young man sob about his grandmother’s unwillingness to accept his homosexuality. I never found out what happened to him or the others who were transferred out of the unit. I can still see the thin woman quietly lying on her side, her stringy brown hair splayed across the white pillow. 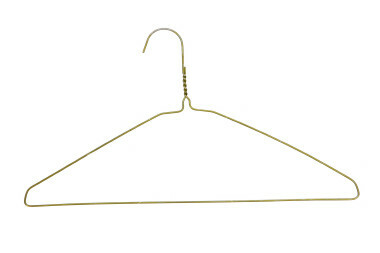 She was dying after an attempted self-abortion with a coat hanger. For the life of me, I can’t remember what I did for her or what interventions she had before she was left to die. I do remember feeling depressed thinking of the five children she would leave behind. 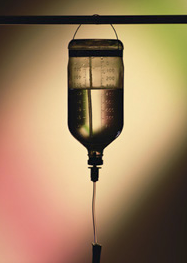 Intravenous infusions were started by the I.V. team, blood draws by the lab techs and ventilators adjusted and cleaned by the respiratory department. However, one procedure the nurse performed frequently in the unit was the ice water lavage on alcoholics who had a gastrointestinal bleed. Standing at the bedside with a large syringe and a bucket of ice water I would squirt the chilled liquid into the nasogastric tube, a tube threaded into one nostril and down into the stomach. After a few seconds I would suction it back. I only stopped when the water returned no longer bloody. Many a night I stood by the bedside for long intervals while my legs ached as I pushed and pulled the water through the tube and prayed it would return clear. I still hate the smell of blood! As the night charge nurse, without the bells and whistles of today’s monitoring equipment, I mostly observed my patients. Observing was not always risk-free. For example, one patient with Pickwickian Syndrome (named after a character in Charles Dickens” The Pickwick Papers) had to be awakened if he stopped breathing for a long time. 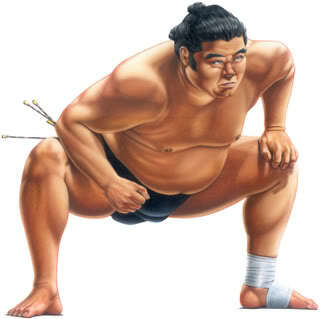 The guy was a solidly built, muscle-bound wrestler. I worried that if I poked him awake he would take a swing at me. Luckily it never happened. Times have changed and medicine continues to evolve and become more complicated. I have great appreciation and respect for the nurses who not only know how to turn on the lights in the new MICU but monitor all the new bells and whistles. But do they have the time to lean over the bed rails and listen to a patient’s story? Good question. Luckily, in my hospitalizations of late, I had nurses that could multitask reading and adjusting their high tech equipment alongside talking with me! Thanks, that is good to hear. And good luck with your book sales. I love reading your posts, Marianna. They are so warm and interesting. Keep up the wonderful work. My, the contrast between the older facilities and the more modern ones is quite stark. I’m amazed at just the inroads in food choices on the menu nowadays, but now see how many other things are shifting in hospitals as our nation ages. I hope care is not left behind. Do you remember the old Gelfoam slurry GI bleed treatment? Gelfoam flakes were mixed with saline and injected via the NG tube. Gelfoam flakes floating in the air as they were mixed always reminded me of snowflakes.